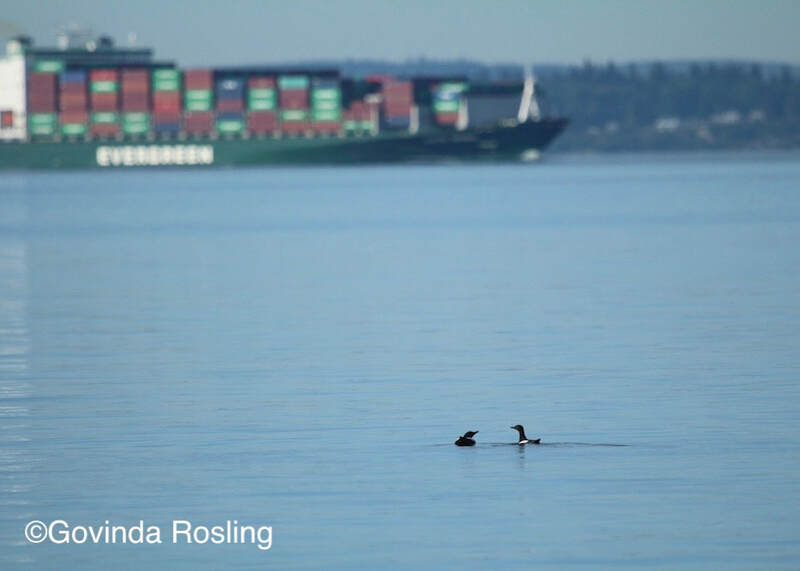 We are a chapter initiated Whidbey Audubon community science project dedicated to the research, education and protection of the Pigeon Guillemot. 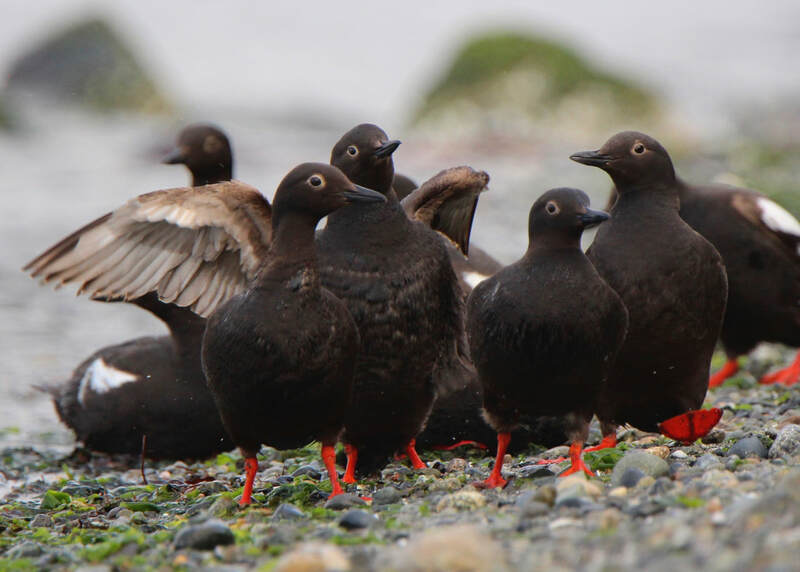 Based on Whidbey Island, in the Salish Sea/North Puget Sound, we actively monitor approximately 1,000 Pigeon Guillemots that gather into colonies to breed in our seaside bluffs. These entertaining and endearing black and white seabirds with fire-engine-red feet symbolize healthy coastal waters. 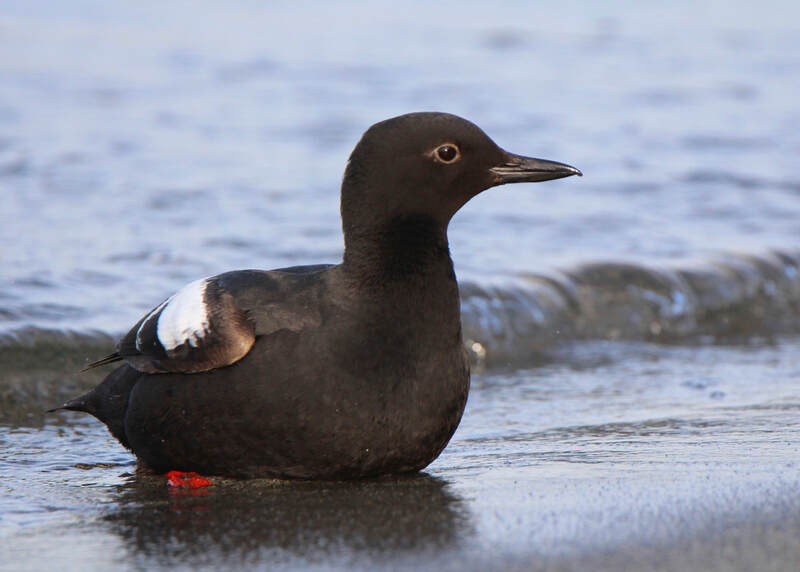 What is a pigeon guillemot?